February’s toast; time to make March one for the record books. From a “non-symposium” in the desert to a Mardi Gras fundraiser for a bitchin’ local venue, there’s all sorts of fun stuff to do in L.A. this weekend. Here are our picks. 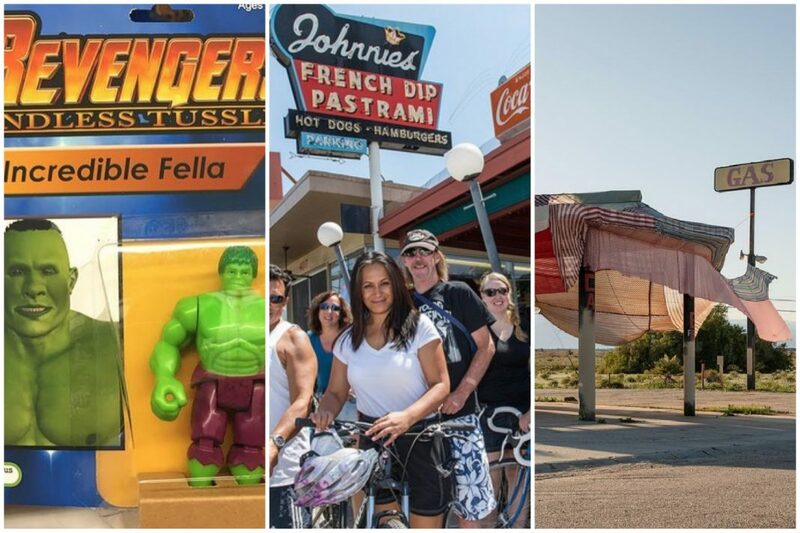 Desert X is in full swing in the Mojave, and this weekend the collection of public art interventions will be accompanied by a “non-symposium” called Desert, Why?, which includes tours of various areas (Salton Sea, Desert Hot Springs), artist talks, and studio visits. Funny internet person Jeff Wysaski makes fake toys and other satirical artistic interventions under the moniker Obvious Plant. This weekend his exhibit Museum of Toys launches at Start Los Angeles in Harvard Heights. After opening night, the exhibit runs for two weeks with all sorts of special events, like a free toy day, an Everything Is Terrible pop-up, and a Toys in Jell-O display with Jarina De Marco. Know someone who reminds you of the babe? Drag them to Vista Theatre for this 35mm screening of Jim Henson’s 1986 cult classic. Once you’re done admiring David Bowie’s remarkable eye makeup, cap off the 10:30 a.m. showing with house-made biscuits and maple butter at nearby Cliff’s Edge. Beloved funny person John C. Reilly hosts this Fat Tuesday-themed fundraiser for Westlake’s Bootleg Theater. There’ll be comedy, music, and more in all three of Bootleg’s rooms, including performances by comedian Michael Rayner, Los Angeles Ladies of Arm Wrestling, and contortionist Milo Gonzalez. L.A.’s favorite closed-streets bike ride returns, this time with a ride from Culver City to Palms and Mar Vista. Check out hubs in Culver City’s Arts District, as well as its downtown, and ride west to check out the Mar Vista farmers’ market and lots of other cool stuff along the way. Previous articleThese 8 Buildings Explain Frank Gehry’s Influence on L.A.